Here are the MAP Workshops for the week of April 3, 2017. As always, please pre-register on the MAP Student Portal! We are excited to announce that there are multiple student leadership positions available in the College of Management for the 2017-2018 academic year. You can check out this link for a single application that will allow you to apply to be a CM Ambassador, a Peer LEADer, and/or a TRAIL Peer Mentor. Applications are due 4/23/17 at 11:59pm. SimpliSafe is a wireless home security company started by engineer-turned-entrepreneur Chad Laurans. With his dedication and entrepreneurial spirit, SimpliSafe quickly became one of Boston’s fastest-growing startups and a disruptor in the home security industry. SimpliSafe has created two scholarships that speak to our values as a company. As a startup founded in the Boston area, our Boston Community scholarship is committed to ensuring that a student in our community has access to crucial funding in their pursuit of a degree. Our Women in STEM Scholarship supports the future of a female entrepreneur as she prepares for a career in the STEM field. Each scholarship we offer is worth $1000. The deadline to apply is May 31st. To make it possible for a wide range of scholars to apply, we are asking for colleges to share information about SimpliSafe’s scholarships on their websites using the link https://simplisafescholars.org/. All scholarship details can be found through the website. Questions can be emailed to scholars@simplisafe.com. Please see below for a special MAP workshop next Monday 4/3/17 from 5:30pm-7pm in Ballroom B. You can RSVP here. Feel free to email mapcm@umb.edu with questions! This program is targeted at women undergraduates in their sophomore and junior years who have an interest in business, finance, accounting, mathematics, economics, or investments. Students can earn 2 miles in the Equity and Diversity category for engaging in the Social Justice Conference for the entire day. When you arrive, please let the person who checks you in know you need to sign in for MAP miles. 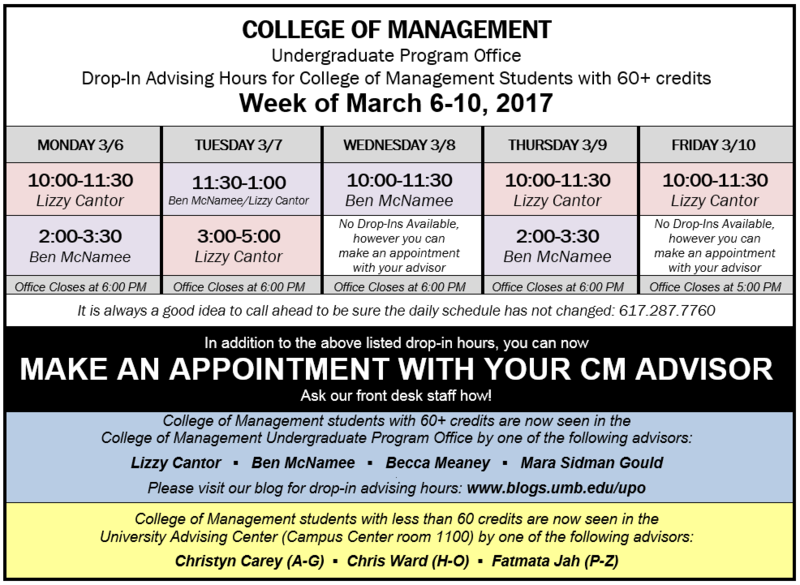 Feel free to email mapcm@umb.edu with questions and enjoy the last of break! Here are the MAP Workshops for the week of 3/6/17. Unfortunately, we do not have any MAP Workshops offered on this day. Please check the MAP Student Portal for more opportunities! As always, be sure to pre-register on the MAP Student Portal.